Thursday’s publication of the Care Act guidance was a huge victory in our year-long campaign to end the scandal of 15-minute care visits. We were delighted to see the government make it clear that these “flying visits” are completely unacceptable for personal care. We launched our campaign to end 15-minute care in summer 2013, after having heard repeatedly from our staff and disabled people about the unacceptable choices people receiving care were being forced to make – often between having a drink and going to the loo. Something had to be done. Without a clear picture of how often these inadequate visits were happening, and where, we knew it would be difficult to convince the right people that they needed to stop. To find out what the scale of the problem was, we sent freedom of information requests to every council in England – and were shocked by the response. The proportion of 15-minute care visits was far too high, at one in nine. These visits were also too widespread, with 60% of local authorities using them. And they were happening more and more frequently; the proportion of flying visits had increased by 15% over the previous five years. With the scale of the problem clearly so large – and with tens of thousands of disabled and older people being stripped of their dignity by these visits every year – we knew we had to act. Our year-long campaign saw our report into the scale of 15-minute visits make national news. We visited 10 Downing Street to hand in postcards from thousands of campaign supporters. We also took a giant mug and toilet to Westminster to send a clear message that no one should have to choose between going to the loo and having a cup of tea, and made a film with Esther Rantzen about the issue. To their credit, politicians from all parties heard our call for action and responded. The government introduced an amendment to the care bill to put wellbeing at the heart of care commissioning, health secretary Jeremy Hunt described 15-minute care as “completely unacceptable” in parliament, and Labour leader Ed Miliband promised to call time on “clock-watch care”. And now the government’s guidance has made it crystal clear that councils should not be buying these flying visits for personal care. We know that since our campaign began some authorities, like Calderdale, Islington and Essex, have already taken action to end 15-minute visits in their area. Now is the time for other local authorities to follow their lead. We’ll be watching closely to make sure they do. 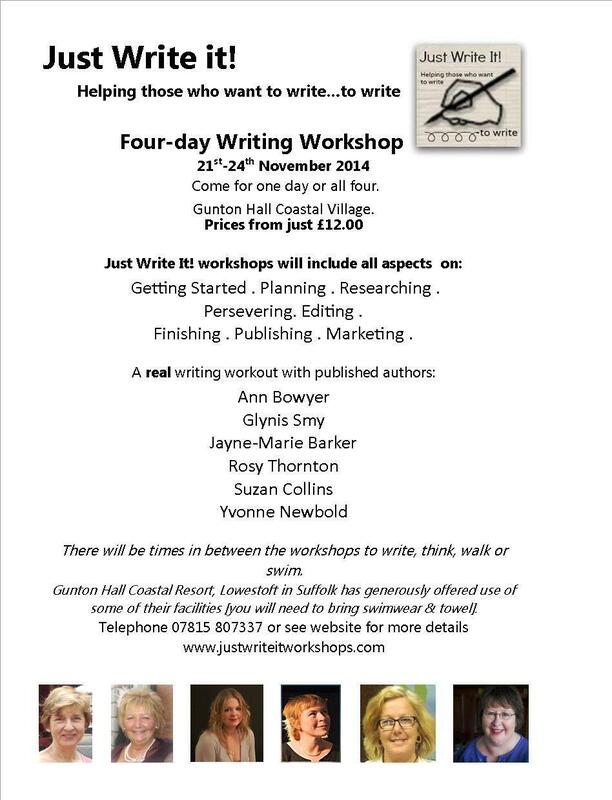 Author Glynis Smy, shortlisted for The Festival of Romance New Talent Award 2014, will be talking about planning and researching at our writing workshops this November in Lowestoft. These workshops run from Friday 21st November to Monday 24th November. It’s possible to book a single day, or sign up for all four. Prices start from as little as £12 for a day, and there’s a discount for anyone signing up for the whole course. The whole writing journey from idea to printed page is covered, and will include getting started, planning, researching, persevering, editing, finishing, publishing and marketing. Need to be alert for writing this November? Reading this is worrying but not a surprise. We’re hearing more now about poor care. It can be very stressful if you need to find a care/nursing home for your loved one with dementia, a care/nursing home that provides care and support with a dedicated staff team. But as we read above, there is ‘a staggering 90 per cent of the care homes and hospitals inspected found to have aspects of variable or poor care’. So where does this leave us for who are trying to find a good care home for our loved one. And why is this happening? I have seen great staff across the country who genuinely care for those they support. They are dedicated and provide person centred support, and many a time work long hours due to staff shortages/sickness. I have also seen staff that have delivered poor care. Sometimes, it’s not their fault. The staff/client ratios in these large homes are minimal and it would be helpful for the Care Quality Commission to bring in a minimum number of clients to staff ratio. 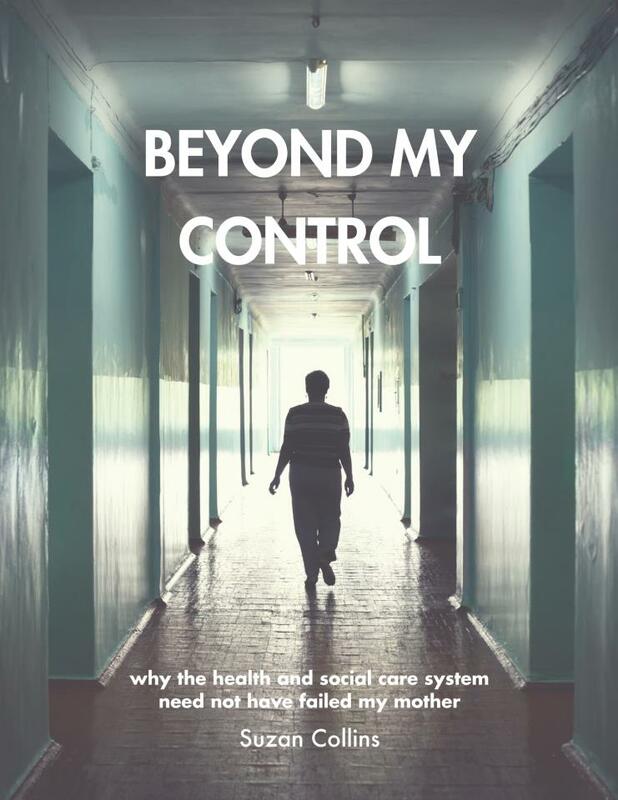 The former Commission of Social Care Inspection [CSCI] had this. Dementia is a specilised area and need staff who are trained to support people with dementia. It is not good enough to receive training on how to support older people, training is needed on how to support individuals with dementia. People can live well with dementia, but only if staff have the knowledge on how to support the individual to do this. The care assessment completed prior to going into the care/nursing home needs to give an accurate full description of the individual’s needs. We need to get the right quality of care. Staff to be recruited who genuinely want to care and support others [not those who see it as ‘just a job’]. High turnover rates lead to lack of continuity. Do the managers carry out an Exit Interview with staff to see why they’re leaving? If they did, this may help them see the reasons and if the reasons are to do with the Home then the manager can look to rectify this. Money available to train staff in this specialised area and this money to be used for training and nothing else. Time for staff to complete training. Staff to discuss with their supervisor/manager afterwards to see if the training met their need. Good client staff ratio on shifts. Time for staff to carry out best practice [and not cut corners due to short staffing]. Senior on shift to lead the shift, monitor, observe and discuss poor practice if apparent. Staff to receive regular 1-1 confidential supervision sessions where training needs are identified, performance discussed, feedback given and concerns shared. Staff to be able to express their concerns without fear of reprisal or losing their job. What makes a good care/nursing home? Many care/nursing homes can look grand from the outside, and sometimes on the inside too. But this doesn’t necessarily mean that they pay the same amount of time cleaning the place to supporting the people who live there. Care/support plans are individual to the person [and not the same as everyone elses]. The plans should take in the uniqueness of the individual, their interests, abilities, needs and preferences. Staff must treat individuals with dignity and respect. Systems should be in place to help the individual with choices. This can be objects to refer to or pictures/photographs. Dedicated and trained staff team. Good leadership and support for staff. Clients and family are listened to. House meetings where the people living there are able to express opinions and make suggestions for their home. Activities for the individual to choose if s/he wishes to participate.